What’s blue or black and wears a split window out back? What color is that? Prior to the sun coming up, by all accounts it appeared to be black. However as the sun began to rise, there was a faint glint of blue that could be perceived. 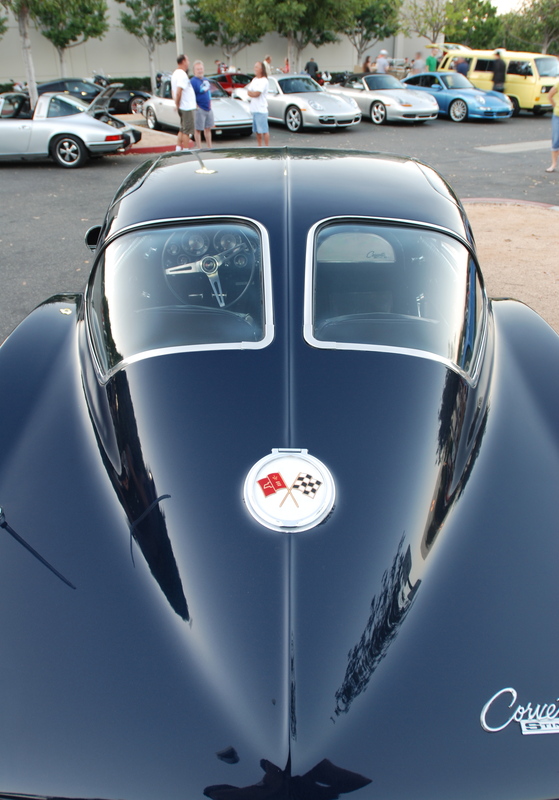 Or was it just the early morning sky reflecting off of the pristine bodywork? 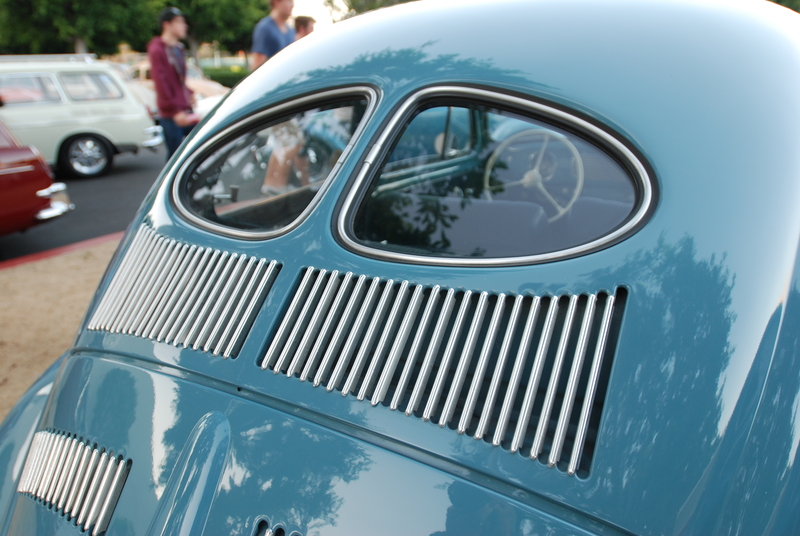 Depending on the model year, if this had been 1951, the vehicle in question could have been be a split window Volkswagen Beetle (as seen below). 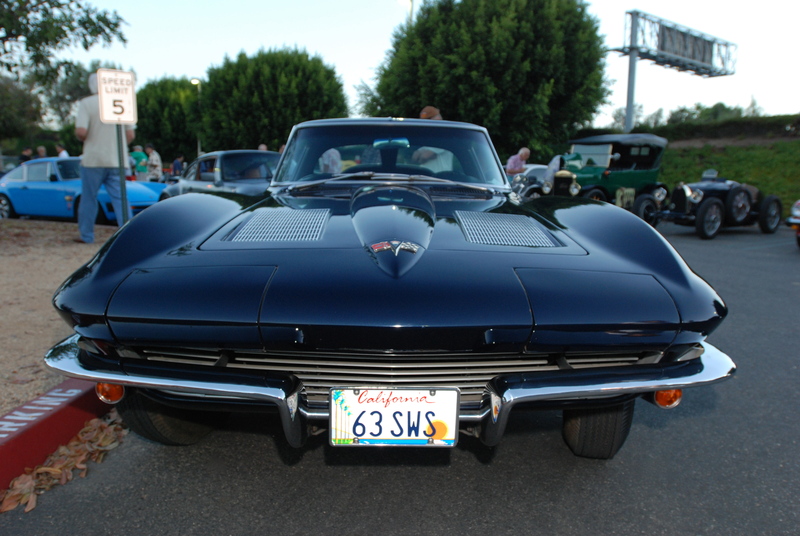 However, in this case the subject just happened to be a 1963 Chevrolet Corvette Sting Ray, a.k.a. the split window coupe. A unique design feature available for only one year, and it just happens to be one of my all time favorite Corvettes. 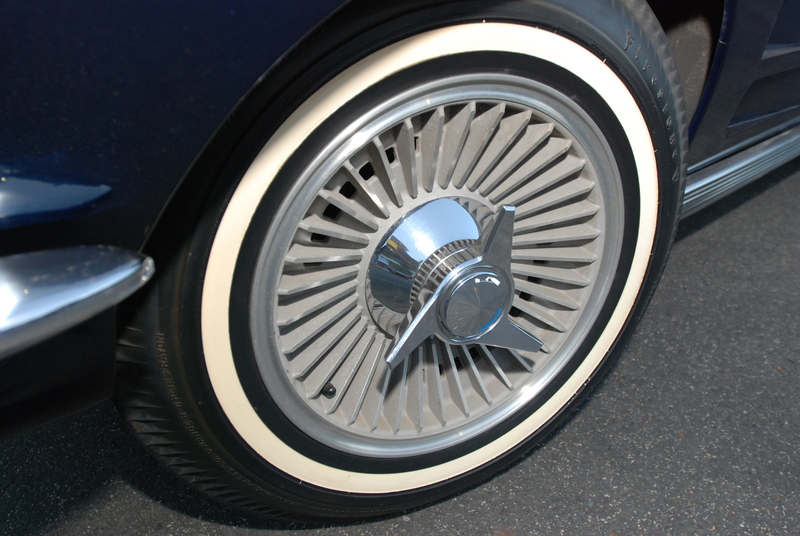 These very cool knock-off wheels were offered as an option (P 48) for 1963. 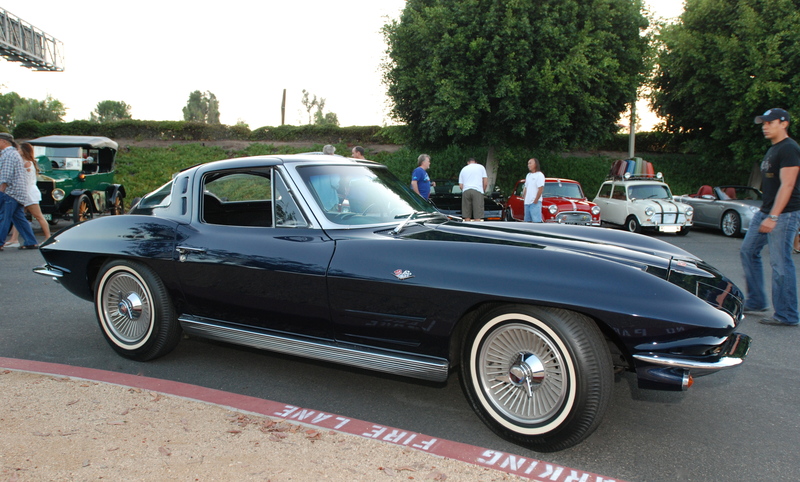 However, after doing some research, I learned that back in 1963 Chevrolet did not deliver any of their optional, knock off wheels on the Corvette, due to quality issues. So I suspect that these wheels were likely sourced from a later model Corvette. 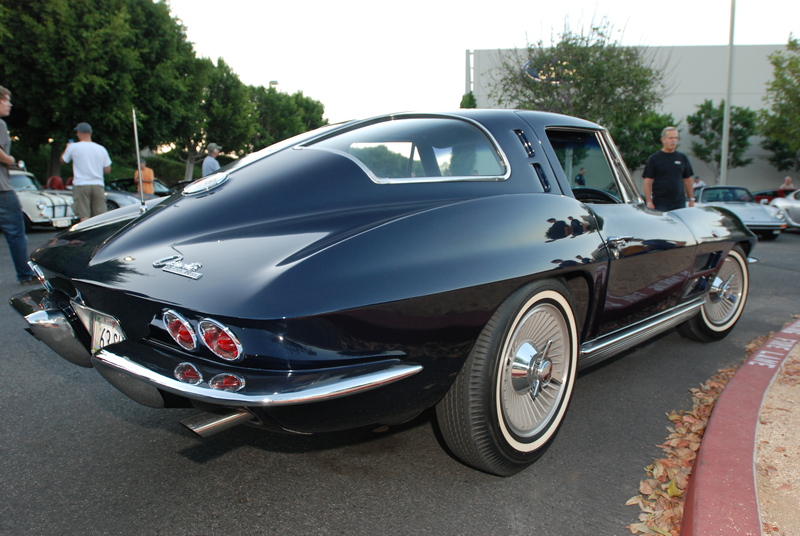 The classic 1963 Sting Ray contours; split rear windows and the raised, central spine detail that bisects the roof and continues down the back of the car, all blending seamlessly into the rear bodywork. 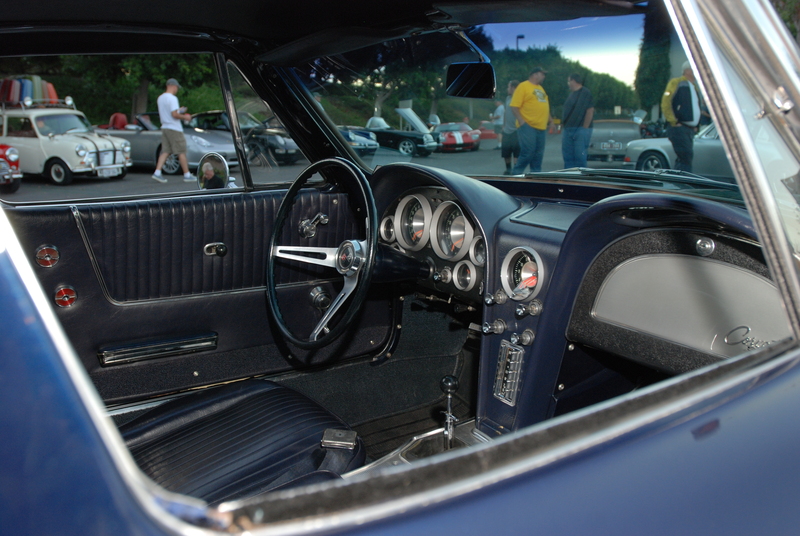 A stepping stone in the evolution of Corvette interiors, circa 1963. 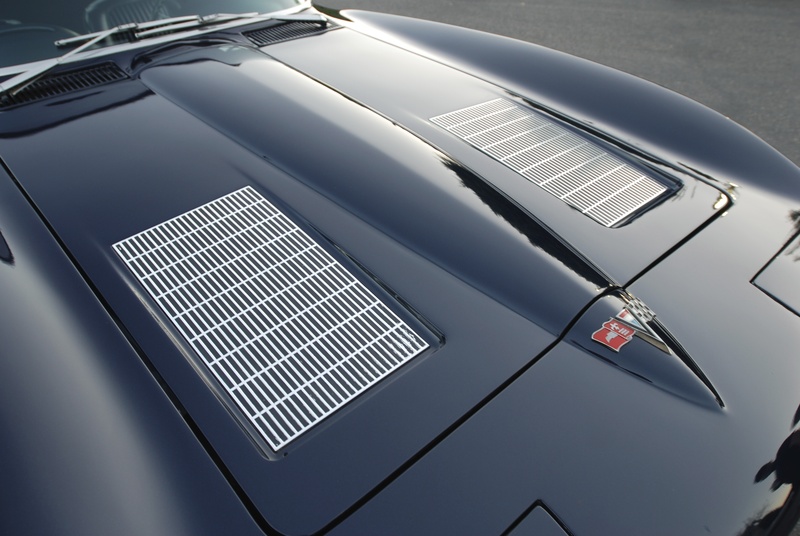 Design elements found in the 1963 interior continued to evolve, and their influences can still be found in Chevrolet’s latest offering for 2014, in their new Corvette Stingray. Front hood reflections and the unique, dual faux grills. 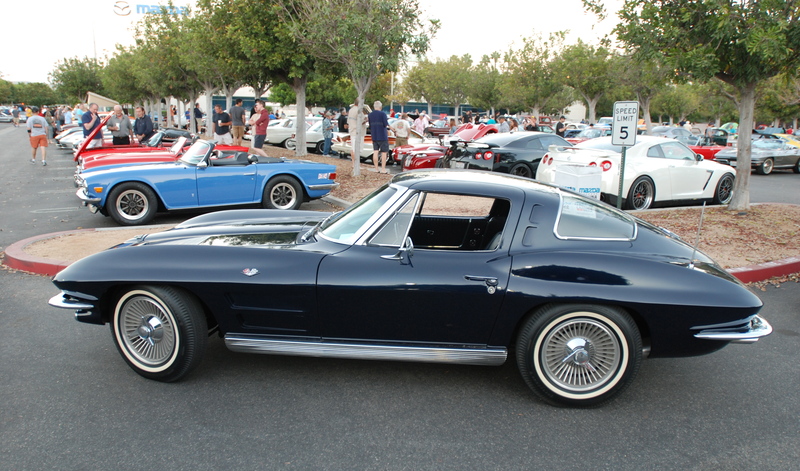 As cool as the 2014 Corvette Stingray is, when all is said and done, it’s going to be hard to beat an original, and especially a 1963 split window. 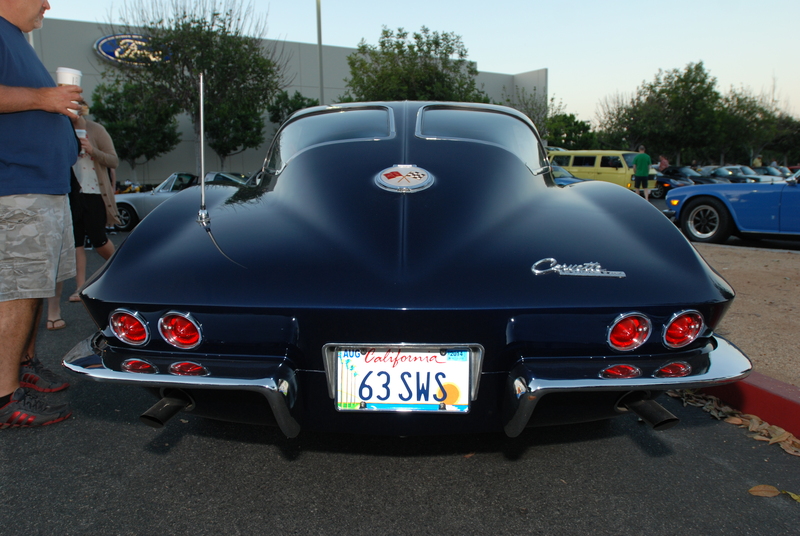 This entry was posted in 1963 Chevrolet Corvette Sting Ray, 1963 Corvette split window, Cars&Coffee / Irvine, Chevrolet, Corvette Sting Ray and tagged 1963 Chevrolet Corvette split window, Automobiles, Cars, cars&coffee/Irvine, Corvette Sting Ray, photography by digitaldtour. Bookmark the permalink. Thank you. This 1963 split is an amazing car, which made for a great photographic subject. Thank you, I’m glad that you liked the photos. 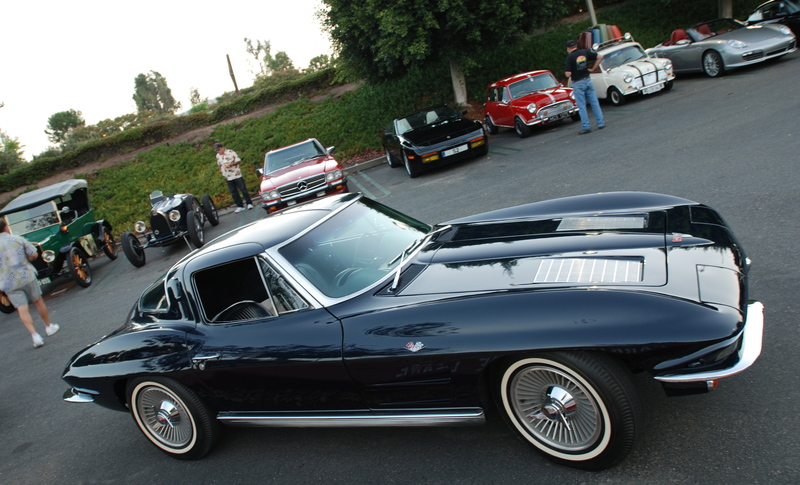 The 1963 split window Corvette is an amazing car, which translated into these images.